The AMCA's Judging Program is open to antique motorcycles at least 35 years old owned by Club members. Judging takes place at all AMCA National Meets from coast to coast (see the full schedule here). The Judging Program has classes for restored and unrestored motorcycles, which are judged against the standard of how those motorcycles would have looked when they were first manufactured. Awards levels are: Junior Second, Junior First, Senior and Winners Circle Preservation Award. 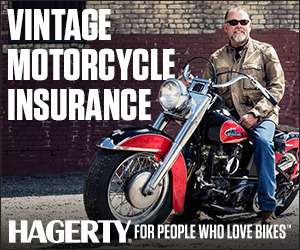 Having your restored or unrestored motorcycle judged is easy and inexpensive. If you're not an AMCA member, first visit our Join the Club page to sign up. You can then click the Judging Pre-Registration link below to enter your motorcycle for judging in any of the AMCA National Meets throughout the year. You can pre-register anytime prior to two weeks before the National Meet you plan to attend. Pre-registration is $10 for each motorcycle per event, and the fee is waived for members who bring their machines back to the judging field after they have already won a Winners Circle Preservation Award. You may pre-register a machine for multiple events at one time, but you will need to submit a separate pre-registration form for each additional machine. Pre-registration closes two weeks prior to each National Meet, but you can still register for judging at the meet for a fee of $20. For full details on the Judging Program for restored and unrestored motorcycles, go to the Judging Info page, where you can download a copy of the AMCA Handbook of Judging. Note: Period Modified is a non-judged (Display Only) category which competes for local awards and does not require Pre-Entry or a fee. You can sign in for free at the Judges table at any AMCA National Meet.